This weekend, come to the Fort Ontario State Historic Site in Oswego, New York to re-discover the history in your backyard. Learn all about the 1814 Battle of Oswego as part of the upcoming 200th commemoration of the War of 1812. Because of its geographical location, Lake Ontario was a major staging area for the battle between American and British naval fleets, the latter being located in Canada. 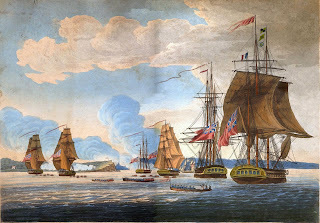 As both sides fought for control of the lake, shipbuilding had become the race and there were, in the spring of 1814, three American ships awaiting armament at Sackets Harbor, New York. The naval supplies for these warships had been stored at Oswego Falls (Fulton, New York) and the British were determined to make their capture. British forces prepare for an amphibious assault on the beach at Fort Ontario. By William Steele. Collection of Paul Lear. On May 4, the British navy, led by Commander-in-Chief Sir James Lucas Yeo, departed Kingston, Ontario and prepared to launch an attack on Fort Ontario. Assigned to protect the fort and, more importantly, the stores at Oswego Falls, was Lieutenant-Colonel George E. Mitchell. Upon the arrival of the British, Mitchell implemented key military strategy and dispatched orders to sink the schooner Growler (to prevent its capture) and pitch every available tent on the opposite side of the river (to give the impression of a large show of force). These tactics brought the British to the shores of the fort where they were repelled by the Americans – with a little help from Mother Nature. A strong wind had come up, forcing the fleet back to the lake. 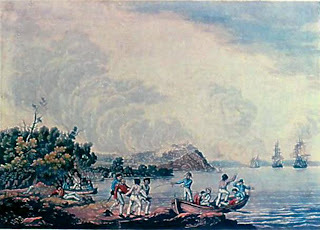 British sailors climb the bluff and ramparts of Fort Ontario while the British Marines, De Watteville Regiment, and Glengarry Light Infantry attack from the east. By William Steele. Collection of the Public Archives of Canada. 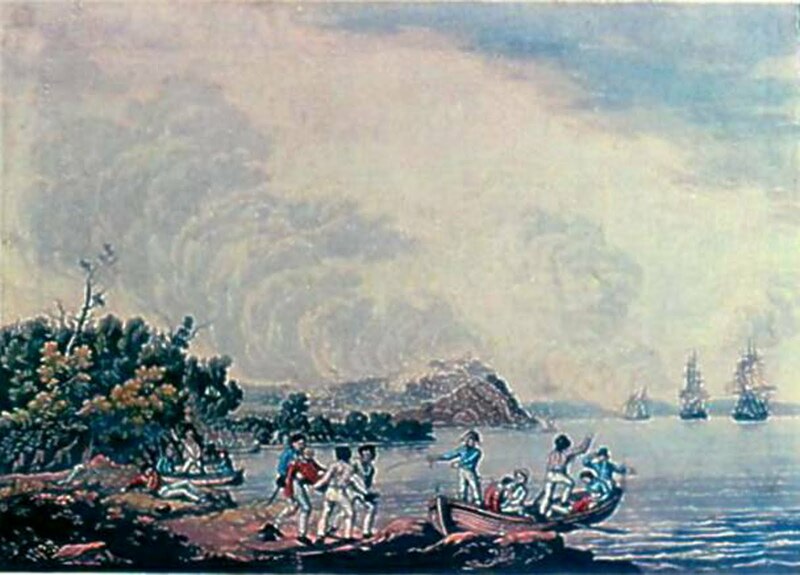 The following day, May 6, 1814, the British returned and immediately ascended the bluff at Fort Ontario and took its capture. Unable to defend the fort with his small battalion, Mitchell retreated to Oswego Falls to protect the naval stores hidden there, which included the main cable for the frigate, Superior. By the next morning, the British had set several fort buildings ablaze and left with what little supplies remained. With Fort Ontario destroyed, it was imperative to transport the naval supplies to Sackets Harbor where shipbuilding was nearing completion. 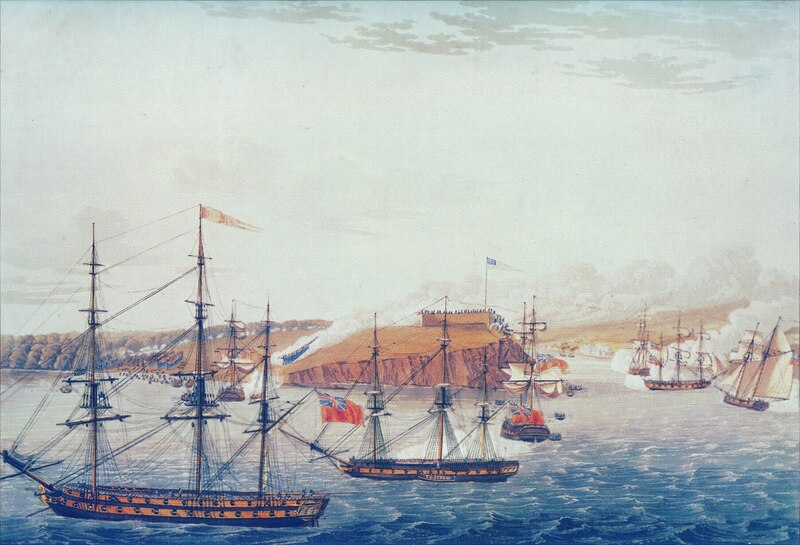 British forces suffered many casualties in their attack on Fort Ontario. Here, wounded British sailors are transported back to their ships. By William Steele. Collection of Fort Ontario State Historic Site. This Saturday, May 8, join retired U.S. Army Colonel Harold Youmans, historian and editor of the Journal of the War of 1812, as he presents a program on the 1814 Battle of Oswego. The featured speaker of this commemoration event, Youmans’ presentation begins at 1:15 p.m. at the Fort Ontario State Historic Site on East Fourth Street in Oswego.